If you have a free Microsoft account or a work or school account with a qualifying Office 365 subscription, you'll have access to the app's extra features. Before you begin, make sure you download the Office for Android apps from the local Android Store. Looking to set up your Office 365 email? See Set up email on an Apple device with Office 365 operated by 21Vianet. Note: Using a Chromebook? You can install Office mobile apps for Android on your Chromebook if you have the Google Play Store or use Office Online if you have the Google Web Store. Tap any Office app like Word, then tab Allow on both prompts to let the Office app access your files and contacts. 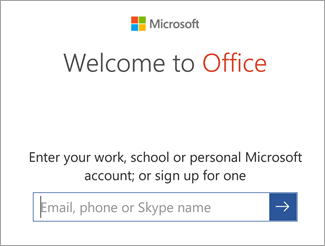 Sign in with your Microsoft Account or Office 365 work or school account. Enter your email address and password associated with your Office 365 operated by 21Vianet subscription and sign in. If you sign in with a Microsoft account that’s associated with Office 2016 or Office 2019, you may get the option to upgrade to Office 365. Follow the instructions to purchase a plan, or select May be later if you want to use the apps without a subscription. Note that you get extra features if you use an Office 365 subscription. 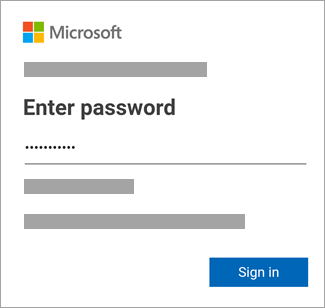 If you're prompted to create a Microsoft account, just add a password to create one and then follow the prompts to verify your identity. If you have other Office apps installed on your Android device, your account and OneDrive files will be automatically added. To add another account, tap Open (or Open other documents if you're on a tablet) > Add a place. If you are using OneNote, tap Settings > Accounts. 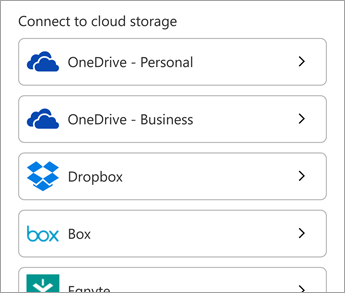 Choose the cloud service you want to add, such as OneDrive for business or Dropbox. Enter the email address and password that you use to sign in to that service. Need help installing and setting up Office apps on Android? How do I open a document in an Office app? 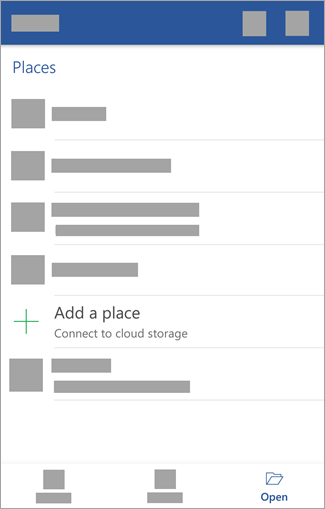 You'll see the list of files you saved to OneDrive or OneDrive for Business. The type files you see are specific to the app you opened them in. For example, if you opened the Word app, you'll only see Word documents; if you opened the Excel app, you'll see Excel spreadsheets. To view any OneNote notebooks you saved to OneDrive or OneDrive for Business, tap + Open Existing. Note: To use the extra features in the Office apps, you must sign in with the Microsoft account or work or school account associated with your qualifying Office 365 subscription. For a list of qualifying plans, see What you can do in the Office apps on an Android, iOS, or Windows mobile device with an Office 365 plan. From the Word, Excel, or PowerPoint app: Open or create a document > open the side menu > Settings icon > Send Feedback or Online Help and Support. From the OneNote app, tap Settings > Help. Or, select a link in the table below. Check here for the latest systems requirements for Office for Android. App availability varies by country so find out what's available in your country.